The leaves on my walking path are turning red…really! 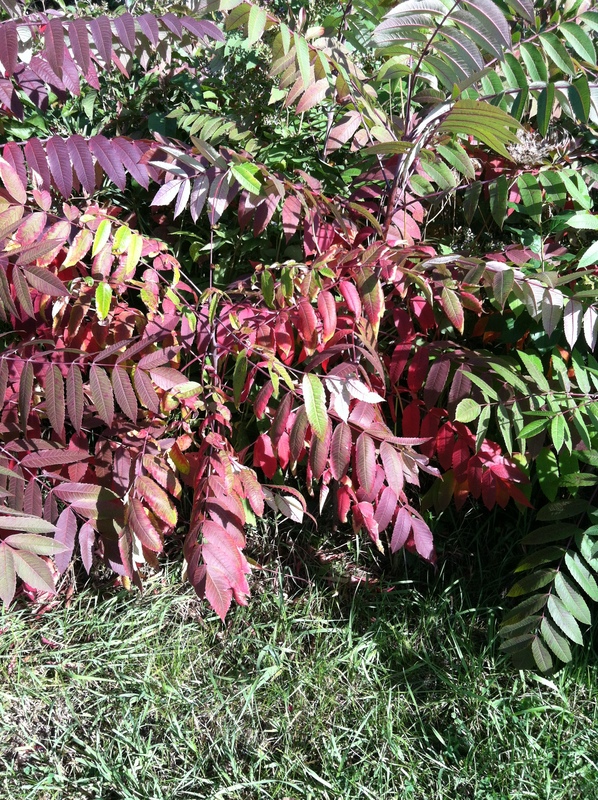 August heralds Fall undercover–while the normal flora pop up in spades, a few sassy bushes try on their crimson. I am an Autumn junkie. Once we come to August, I am anxiously hanging around the mail box for my September copies of Vogue, Bazaar and Instyle. I troll various web pages for hints of fabulous, cozy, well made and wooly ensembles. Fall is THE Fashion season in my book. Spring is a little weak–some color, gossamer light fabrics, cute shoes and we’re good to go, But Fall, ahh…that is the couturier’s dream! So, are you thinking Fall Fashion, Style and Beauty? I am not a slave to trends, but always enjoy the creativity that abounds in this heady season. How about you?